El Welely for Agriculture Crops, a subsidiary of El Welely Group, was established to allow the feasibility of International and local trade. The company is committed to building an import and export process flow that attains desirable outcomes. 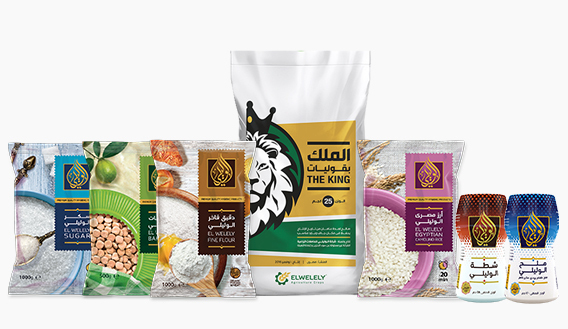 El Welely for Agriculture Crops also offers its own products (Rice, Sugar, Flour, Beans, and Spices) to the local market in Egypt. We believe that everything should be done with passion; from receiving inquiries, to delivering the orders. When it comes to the quality of our products and services we take it very seriously. Our goal is to provide the highest quality with the best standards in the market. Innovation is everything in today’s business. We are committed to finding new ways that provide solutions to our clients. For us, it’s more than being the number one in the market. It means leadership in sustainability, innovation, and human development. We promise to provide high quality products with the best standards in the market. The International Organization for Standardization (ISO) is a global entity that classifies and regulates international standards between countries to enable international trade. We have successfully achieved many certifications and registrations for our continual improvement which.